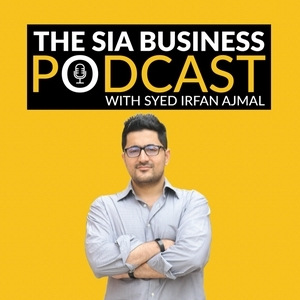 This is a no-nonsense show where your host Syed Irfan Ajmal will be revealing success secrets as well as massive mistakes of tech entrepreneurs, digital marketers, speakers, writers, creatives and more from all around the globe. This isn't about working 16 hours a day. This isn't about being unproductive or having unhealthy obsessions while ignoring other important parts of your life. This is about keeping it real and balanced while still growing a business venture that you love so that you have a life that you can be content with. I went into speaking without much of a plan or a vision way back in the summer of 2013 when, frankly, I had hit rock bottom after having said farewell to company I was running with multiple co-founders. It turned out that not only did I enjoy speaking, but it was a good way to position myself as an expert and authority which contributed to a decent flow of inbound leads. More over, as I later found out, it was also a good excuse for me to enjoy "workactions" abroad once I committed to travel to a country only if I have secured a speaking gig (no matter how small) there. While I've had the pleasure of speaking and events small and large in multiple countries, there were several mistakes that I've made. Here in this episode, I the biggest 3 which I hope no one else makes. Check out the episode and enjoy! Let's take a look at what we did during Season 1 of this podcast, followed by what you should expect to learn and listen in Season 2 which we are kicking off with the publishing of this very episode! From designing kids apps to games, and from creating a clothing range to multiple online creative platforms to getting an award from the ruler of Dubai, Aussie entrepreneur Peter Gould has done it all. 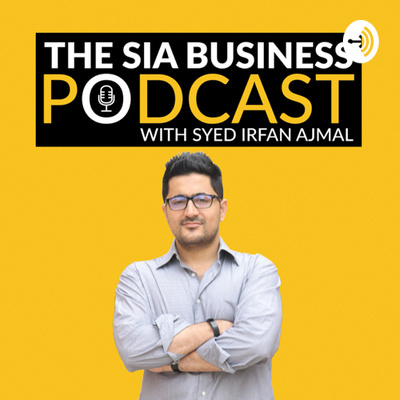 His Islamic Design Thinking company has worked with governments, a Prime Minister, and brands like Etihad Airways, Thomson Reuters, and more.